Semi-synthetic Super 4 10w40 4 stroke engine oil, with MC-Syn Technology, for all modern motorcycles. 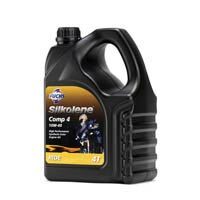 Silkolene Comp 4 10w40 Synthetic ester based 'stay-in-grade' 10w40 four stroke Motorcycle engine oil, which meets the requirements of modern high performance engines. Available in 1 litre or 4 litre bottles. Silkolene Pro 4 10w40 Fully Synthetic Motorcycle Engine Oil. 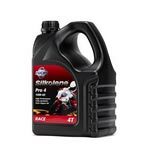 Ester based four stroke engine oil, with Electrosyntec Technology, for all high performance motorcycles. Available in 1 litre or 4 litre bottles. Silkolene Semi-Synthetic Chain Lube. 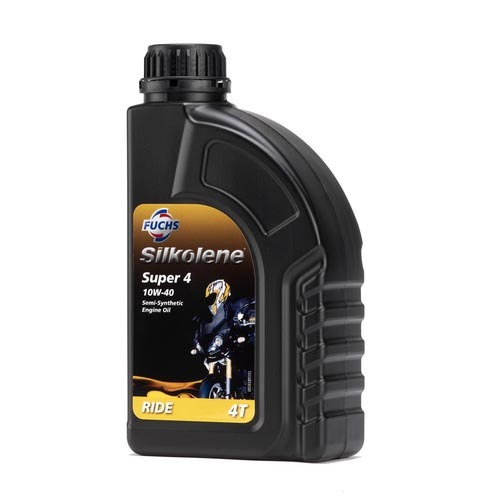 Advanced, semi-synthetic aerosol lubricant specially designed for high performance motorcycle chains. Autosol Metal Polish. 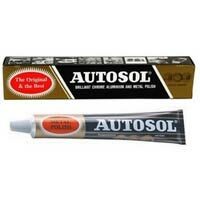 Removes corrosion, tarnish and discoloration from chrome, aluminium, stainless steel, brass and copper.